Background work can be beneficial for actors who’ve just arrived in Los Angeles. In this post, I’ll lay out the pros and cons so you can decide if it’s right for you. It’s a quick way to start earning money. The barrier to entry for background work is quite low. Once you’ve signed up with Central Casting, you could be working the very next day. This makes for a great way to start earning money quickly while getting your footing in Los Angeles. It’s can help you get clear about your brand. Since background actors are primarily in a scene to fill out the world and blend into… the background, you will often be cast based on superficial cues only. You don’t have any dialogue to offer subtext. This can start to give you a good idea about your casting, which is VERY important as you transition to on-camera principal roles. You might start to see patterns emerge. Maybe you’re often cast as a “Biker Dude” or “Homeless” or “Jock.” This doesn’t necessarily mean that’s your exact casting, but it gives you a bit of direction to start. You can see how a set works BEFORE you’re in speaking roles. The biggest benefit of doing a little background work when you’re first starting out is getting a real-world view of how a set works. Once you start booking principal roles, it is assumed you know your way around a set: who to check in with, how to look at a call sheet, the vernacular of the crew. Having worked, even briefly, as a background performer gives you a head-start for when you’re regularly booking speaking roles. It’s a fun way to meet new people. Several of my closest and longest friendships are with people I met doing background work. You’ve got all day to chat and get to know new people. In that way, it’s a lot of fun! You have TONS of time to read/write. If you’re a screenwriter or love to read, this is a dream job. Some days you’ll work your booty off, sure. But most of your time is sitting and waiting. For those of you who want to get paid for a little forced work/reading time, your prayers have been answered! There will be days when you’re only on set for 2 hours, and in that case you would still be paid for the full eight hour day. Those days are quite magical. However, most days, you’ll be there for 10+ hours. Worse yet, you’ll never be given a clear “out time” so making definitive plans is impossible. Working full time as a background performer will take up most of your weekday hours. You’ll be called to set extremely early (sometimes 4am) and released very late (2am) and you’ll never know what tomorrow’s hours will be until around 7pm the night before. This job requires extreme flexibility on the actor’s part. It does NOT go on your acting resume. No matter what your friend on set tells you, background work does NOT go on your acting resume. Background work is great experience, especially if you take the opportunity to watch the leads and see how they work. It is not credited acting work. You’re not always treated with a high level of respect. Not everyone on set treats the background players well. You might be yelled at or given less appetising food than the crew. Organizing and herding several hundred people in one area while getting yelled at themselves can put the wranglers on edge and they tend to take it out on the background. Do your best to make their job a little easier and shake it off when they’re persnickety. It’s not personal. The work can be unpredictable. Depending on your type, the work can be inconsistent. Many background artists opt to pay for a “calling service” to get work on their behalf while they’re on set working. If you plan on doing this work full time, I would recommend trying that out. When you’re on set all day and don’t know when you’ll have work again, it makes juggling a second job difficult. So this might not be a good option for you if stability is something you really need. If you have an agent or get regular auditions, background work is probably not a good gig for you! Cancelling after you’ve been booked on a job is very much frowned upon and cancelling same-day can get you banned from a show. Once you arrive on set, you will not be able to leave until everyone is wrapped for the day. 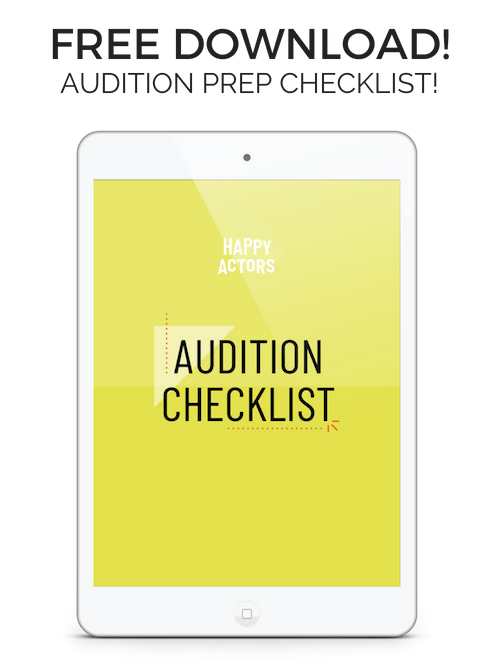 They will not make exceptions for you to leave on an audition – even if it will only take an hour. Once you’re in… you’re in. Additionally, most agents will not be cool with you working as a background player for many reasons. Not least of which is that you’ll miss auditions they’ve worked hard to get for you. Once you’re auditioning regularly, you’ll likely need to switch to a more flexible side hustle. Are you a background performer with career questions or info to add to this article? Let us know in the comments! « How Many Reels Do You Need?